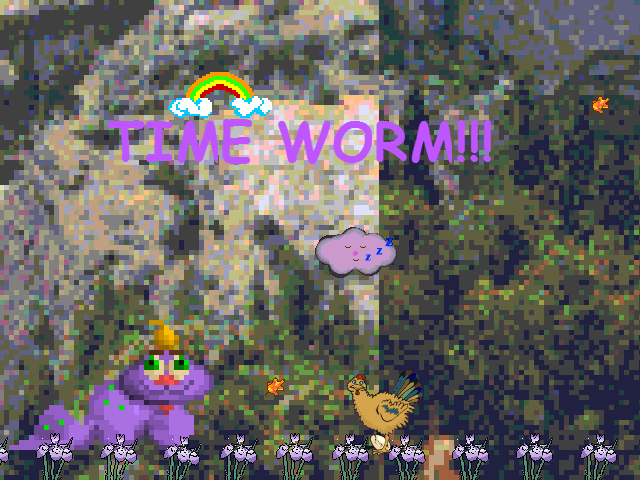 The worms of time! the chickens of destiny! I had to replay the game to make sure, but yeah, that narrative seems like a feasible interpretation. In all honesty, I don't remember what story I had in mind when I made this (if any). Incorporating time travel at all was probably inspired just by the existence of this bizarre Bottle with clock animation, while the phrase "going-back-in-time potion" is a reference to Soulja Boy's review of Braid. I like time travel as a theme a lot, especially as a way of exploring the concept of free will. That might be what I was going for here, with the way the game only allows you to progress forward to your doom standing in for the sense of fatality that convoluted time travel plots often provide. 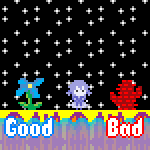 I think I explored these things more literally in an earlier, equally slapdash game, The Box That Ate Time.